Democrat Doug Jones won Tuesday’s special election in Alabama over Republican Roy Moore. Black voters, young people, and well-educated, affluent whites gave Jones the edge he needed. Jones is the first Democrat to hold a US Senate seat in Alabama since 1992. Alabama voters came out in droves on Tuesday to elect Democrat Doug Jones as the state’s next US senator, far exceeding turnout estimates. Unofficial results show a staggering 40% of registered voters participated. Jones’ victory was buoyed by strong support among black voters, who supported Jones by a 92-point margin, according to preliminary exit polls. Just 2% of black women supported Moore. White voters overwhelmingly went for Moore 68-30. Younger voters also made up a key bloc that helped push Jones over the edge. Voters between the ages of 30-44 supported Jones by a 23-point margin. Jones also led 18-29 year olds by 22 points. One of those young voters, 24-year-old Devon Crawford, a black Alabamian, explained to the New York Times why he thought most black voters didn’t get behind Moore. 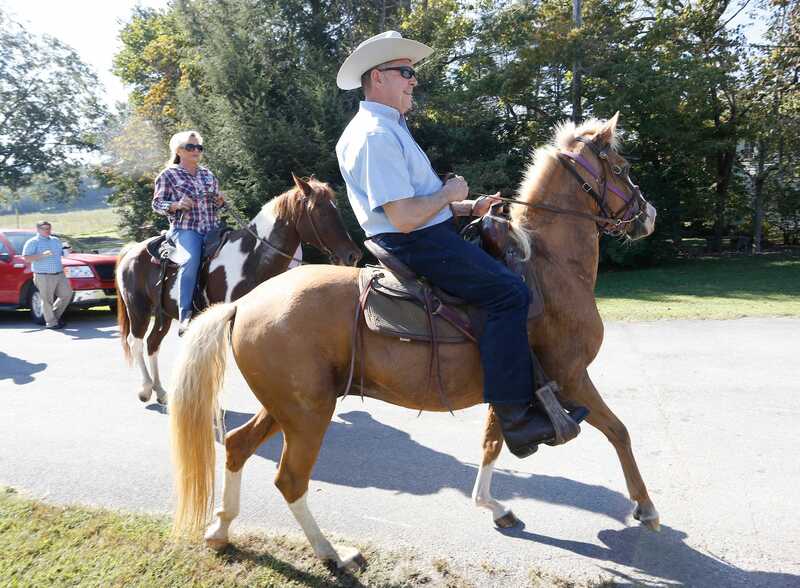 Hal Yeager/Getty ImagesRoy Moore arrived to vote on horseback Tuesday. Jones and the Democrats raised over $US10 million in the last six weeks of the campaign, using the funds to target black communities and higher-income suburban whites disenchanted with Moore’s campaign. The combination of strong support from black voters and low enthusiasm for Moore among well-educated, affluent whites allowed Jones to piece together a winning coalition. The Democrat was also helped by more than 20,000 Alabamians who cast write-in votes, which made up nearly 1.7% of the votes. Jones beat Moore by just 1.5%. Tuesday’s special election, held to replace Jeff Sessions who vacated his Senate seat to become Attorney General, was one of the most scandal-plagued political contests in recent memory. Moore spent much of the campaign’s final weeks fighting off several accusations of sexual misconduct with teenagers. Jones will be the first Democrat to hold an Alabama Senate seat in more than two decades.